When the temperature begins to drop and the days get shorter it can be tempting to curl up inside and start counting the days until spring. However, if that is how you opt to spend your winter you will miss out on all the great opportunities that are available in Ontario’s parks only during the coldest months of the year. There is no sense hiding for half the year when embracing winter offers so many great adventures for the whole family. Few places make it easier to get excited about the snow than Algonquin Park. All winter long visitors are welcomed to enjoy cross country ski trails, snowshoeing, frozen lakes, and the silent beauty of the woods. All these great activities come together one weekend each year for the Winter in the Wild Festival. The 2015 installment of Winter in the Wild will be held on Valentine’s Day, February 14th, which also coincides with Family Day weekend. That means a whole extra day to get lost in the woods and enjoy everything the park has to offer. 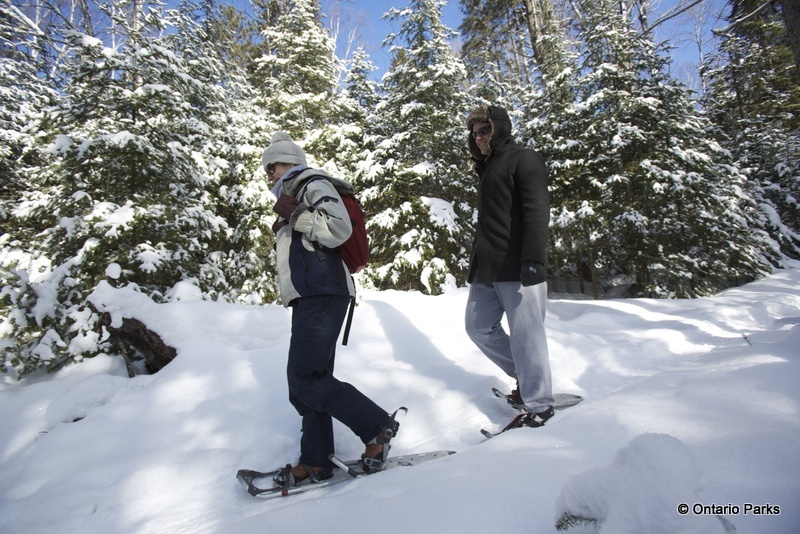 Winter in the Wild gives visitors a chance to experience the full range of winter activities from guided snowshoe hikes to bird and nature tours. 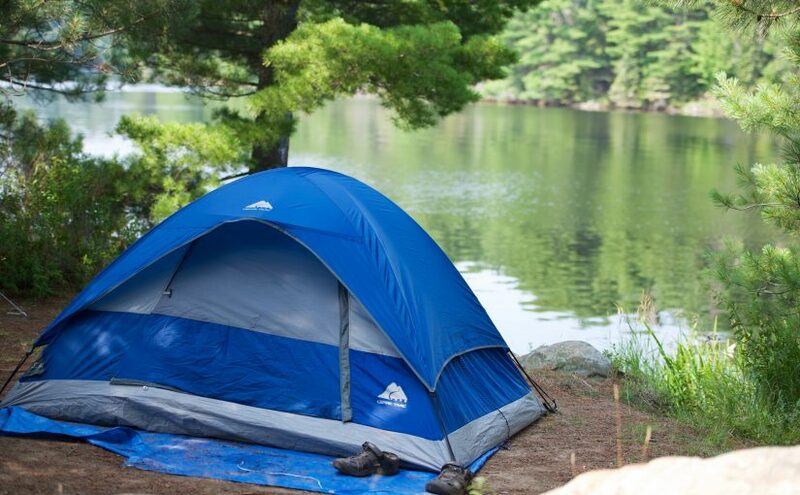 The Friends of Algonquin Park are organizing the event and members will be on hand along with Ontario Park’s staff and a number of guest speakers to teach visitors about the changes that happen during the winter each year. On top of the guided hikes and wilderness tours, Winter in the Wild will provide winter camping demos for visitors who may want to stay overnight in the park but just don’t know how. I personally can vouch for the fact that there are few better ways to spend a wintery weekend than on a snowshoe backpacking trip in the Algonquin Highlands. If tenting isn’t up your alley, use the resources at the festival to learn about the yurts available for winter users looking for a place to warm up at the end of a long day. 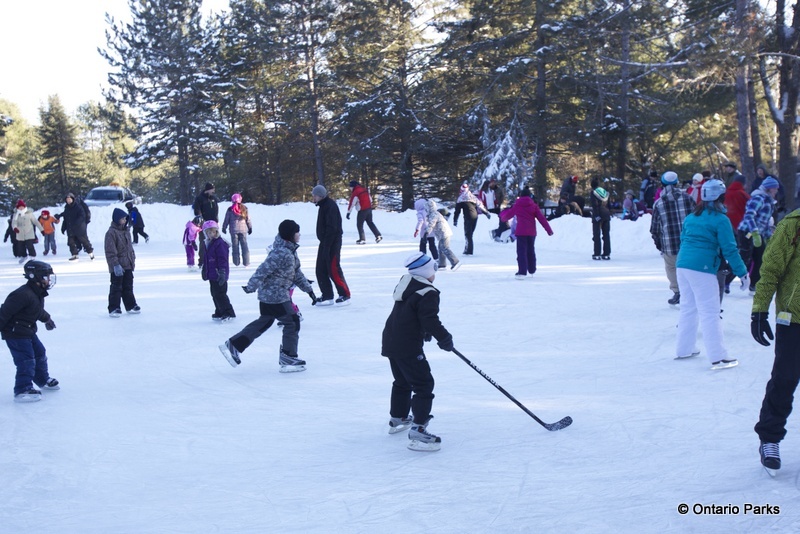 The festival will also offer outdoor ice skating opportunities as well as a number of kids programs. 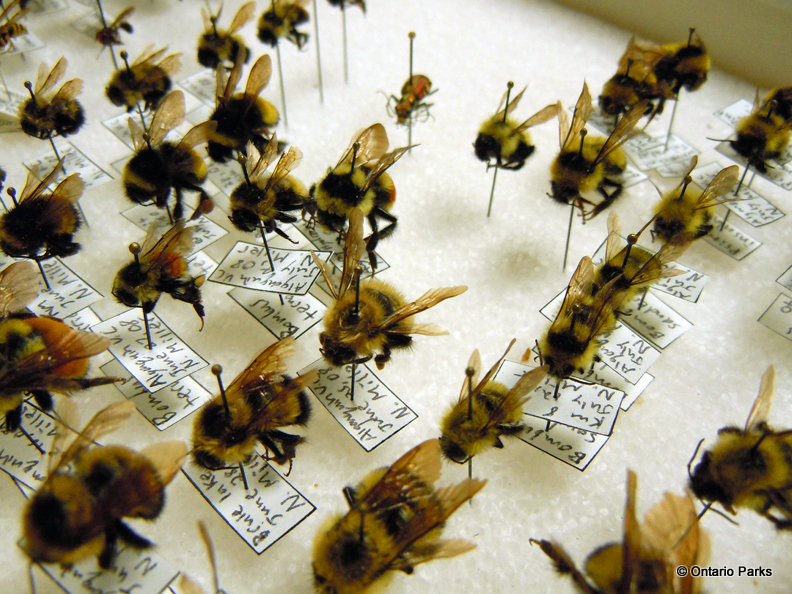 One extra special advantage to visiting the park on February 14 will be the exclusive tour of the park museum’s specimens room. This area is usually off limits to the public, but for Winter in the Wild its doors will be opened for visitors to see and learn about the amazing biodiversity found within the park. From bees to birds to beavers and even the occasional wolf, the specimens room is sure to thrill any young explorers in your family. With everything there will be to see an do along the Algonquin’s Highway 60 corridor, Winter in the Wild deserves a place on every Ontarian’s calendar this winter. 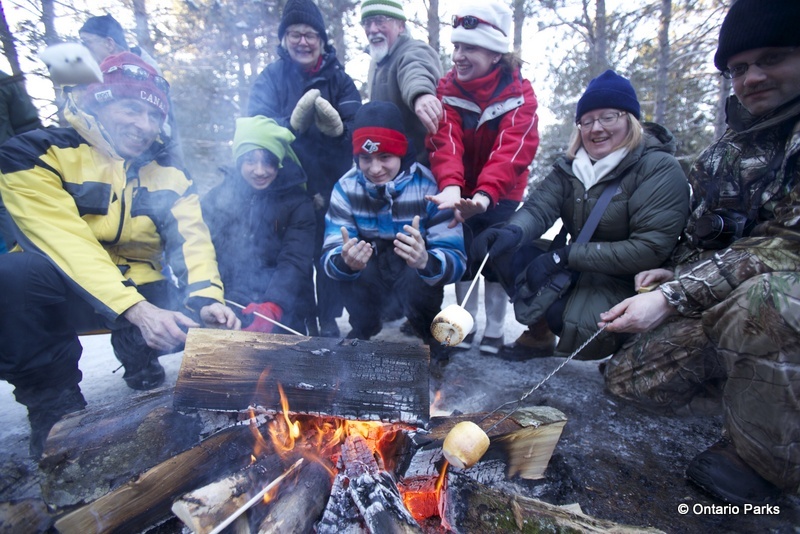 So bundle up, fill a thermos with hot chocolate, and head up to Algonquin park this Family Day weekend. You might just be heading home with a whole new appreciation of Canadian Winter.